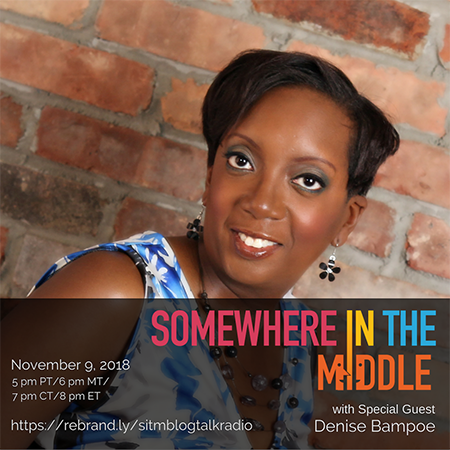 Denise Bampoe is a native New Yorker whose background is colored by her immigrant Caribbean heritage and Southern roots. She spent her youth as a track and field scholar-athlete. This took dedication and as a result, Denise was no stranger to hard work and continually pursued excellence. Due to her intensive academic and athletic training, she was prepared for the challenges of the fast-paced business world. She gained solid experience after having spent over 15 years in the financial services industry. Even though she cultivated a certain level of business acumen, it didn’t prepare her for what was to come next as a caregiver. A strong foundation for survival was laid but her expertise as a compassionate and resilient advocate was cultivated through her experiences as a caregiver for both of her parents. She soon found herself running to the hospital and patient care facilities for her father who suffered from chronic kidney failure and was on kidney dialysis. Soon thereafter her caregiving duties expanded to include her mother, who was her father’s primary caregiver until diabetic episodes eventually led to leg amputations. This led to a lot of frustrating situations which can be tough on an only child dealing with a lack of support. To her advantage, Denise’s business background helped her to exercise foresight which prompted Denise to tap into resources early enough to begin to prepare for the road ahead. Health and wellness have also become a key priority for Denise especially after witnessing the effects of chronic illness on her parents. This prompted Denise to establish the wellness and lifestyle platform BeWellBeSwell.com to chronicle her journey and provide resources, tools, support, and information for new and existing caregivers on preparing for caregiving, caregiver self-care, and dealing with post-caregiving. She hopes to build a community that encourages caregivers to remember to take care of themselves while caring for others. Her goal is to inspire caregivers to seek the daily joys in life despite the challenges that may arise. By sharing her experiences, Denise is not only a source of support but serves as a resource to only children or "those who feel like only children" who are caring for their elder parents. Denise graduated from SUNY Albany with a degree in Business Administration. She is a professional coach with a certificate in personal development coaching from The CAPP Institute. Currently, she resides in New York with her husband. As a Distinguished Toastmaster, she also can be found speaking on a stage near you. When she’s not curled up with a good book, Denise can be found dancing in a Zumba class or fine-tuning her kickboxing moves. One of her favorite pastimes includes making scrumptious organic meals as she enjoys delicious culinary flavors.